The fifth year of Goodwood’s Friday-night mix of racing and music begins tonight (June 5). It was back in 2011 when Boy George starred at the first ‘Three Friday Nights’ shows with racecourses bosses wondering how the new venture would be received. 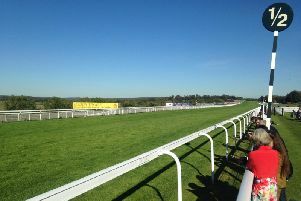 Now they’re a firmly-established part of the track’s calendar and officials say they are gradually helping attract new people to the racecourse. This year’s TFN kicks off with a card of six races, the first at 6.10pm, followed by a set from Belgian dance duo 2manydjs. Gorgon City and Idris Elba are the stars of the second and third nights on June 12 and 19. There is still limited ticket availability for tonight’s event and it is possible to pay on the gate. Goodwood racecourse MD Adam Waterworth said: “The Three Friday Nights have been a great success for us. They’ve grown in reputation and popularity. Some people come to see particular acts, others just love the concept and will come whoever we book. The feature race on the track is a class-three handicap – the EBF Stallions Breeding Winners Fillies’ Stakes at 7.50pm. But there’ll be as much interest, if not more, in the two races for two-year-olds that precede it, with the likes of Richard Hannon and Mark Johnston lining up a host of undiscovered and in many cases unseen young horses that could turn into champions. In all there are 65 entries across the six races, a pleasing number for Goodwood staff. Our tips: 6.10 Kyllachy Spirit, 6.40 War Whisper, 7.15 Outrank, 7.50 Links Drive Lady, 8.20 Elite Force, 8.50 Baqqa. It’s one of two big ocsions at Goodwood inside three days – Sunday brings a family-orientated raceday with the emphasis on educating race-goers about what goes on behind the scenes. The Sunday School fixture, in its second year, mixes a seven-race afternoon card with activities such as weighing-room tours and clerk of the course Seamus Buckley explaining his work to groups out on the track. There’ll also be interviews in the parade ring with the people who make racing tick plus a rare selling race: the winner of the Goodwood Selling Stakes (4.35pm) will be publicly auctioned off in the winner’s enclosure after the race. Gates open at 11am and much of the behind-the-scenes fun takes place soon after that.